"In Every Dictatorship The Past is Censured"
(Milan) Don Alberto Secci, born in 1963, ordained in 1988, is a priest of the Diocese of Novara on the border with Switzerland. 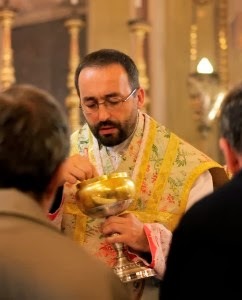 Don Secci became famous when he announced with two other diocesan priests, that he was bringing the traditional form of the Roman Rite back according to the Motu Proprio Summorum Pontificum of Pope Benedict XVI.. The result was great resistance from the diocesan leadership, the rest of the clergy and public hostility. Today he may celebrate the Old Rite and proclaim the undiminished faith - in a tiny mountain village with a few hundred inhabitants. In an interview, he talks about the crisis in the Church and the importance of tradition. As the three priests announced their decision according to Summorum Pontificum, there was massive resistance in the diocesan leadership and the rest of the clergy of the diocese who immediately stirred up sedition of the parishioners against their pastor. The priests became a national news story. The entire press of Italy reported about them. They were described as "stubborn" and denounced as "agents provocateurs". "We had become a scandal overnight, for the world and the diocese," said Don Secci. The Pope generously granted the Motu Proprio "and for that, the Church can't thank him enough," said the priest. However, Rome was unable to prevail against the selfishness of some bishops who consider their diocese as a private fief. Two Priests are active today in the Southern Alps at Domodossola Verbania and close to the Swiss border, a pastors. To expand its reach, they run the Internet apostolate Radicati nella Fede (Rooted in Faith) and seek the instruction of the faithful in the Church's teaching of all time in their parish boundaries. In January, the fourth annual "Day of the Tradition" will take place, which Don Secci organizes once a year. The theme for 2014 is: "Winter in the Church after the Second Vatican Council". The topic is taken from the book by Cristina Siccardi (see separate article The Winter of the Church after the Second Vatican Council - The new book to an open question ) who will be present as a speaker.The interview with Don Alberto Secci was conducted by Riscossa Cristiana. 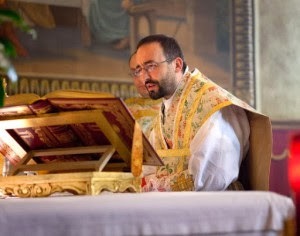 1) It is becoming increasingly apparent, even in relation to the celebration of the Holy Mass (Old Rite and New Rite) that there are two different ways to live the Catholic religion: priests and faithful, are oriented to lessons that are subject to the modern revolution, and other priests and faithful who adhere to the teachings and principles of the Church's tradition. How do you think it will be possible one day to resolve this dichotomy again? Don Alberto Secci: It is necessary that those who have the grace to recognize this terrible dichotomy, have to choose for God, to live in complete catholicity according to Catholic tradition. This is the crucial point. In Christianity there is nothing abstract. You said: "also in relation to the celebration of the Holy Mass in the traditional rite". I'd rather say they remain Catholic, believers hold fast to the teachings and principles of the Church's tradition.. The believers who are held by the revolution, however, have only a vague Christian inspiration and the only in the best cases. To be precise, you said: "in reference to the Mass." Allow me to emphasize this "also". Why? Not in the sense, as if there were just the Mass, because the Doctrine of the Faith is inseparable from the Mass and connected to the entire apostolate. But it is much more in the sense that the Catholic life is the continuation of grace, which comes above all through the sacraments, and thus is the center of the Holy Mass, indeed a Mass without an ambiguous rite. Therefore, If someone had the grace to understand the dramatic situation, he would not trade his conscience for personal acquiescence. One must look for a traditional Mass site and make this the comprehensive place of education in the faith, in the broadest sense of the word, not just intellectually. Small centers of the normal Catholic life, quite modest and perhaps even quite poor, but largely because of the graces that they convey. This will be the solution, God willing. It is our duty to decide whether we want to tread a path of grace and therefore, tradition by loving the Church in Her suffering. God is the solution to this mystery ailment. But God has already solved everything. We are to lovingly care about the Church and not "politically." 2) The "Day of the Tradition" in Verbania will take place this 19th January 2014 for the fourth time. Can you tell us what will happen and how the initiative was created? Don Alberto Secci: It is simply a Sunday afternoon, which is entirely devoted to a burning topic of the faith. The day ends with the celebration of a singing show. For years, Don Stefano and I have endeavored to move forward with a serious study of Christian doctrine for the faithful of our churches. The meetings are held fortnightly. We place great value on them. The confusion that prevails today among Catholics is so great that we simply can not imagine standing aside, just because we love the tradition. It is necessary to know the Christianity, Church history, the Church teachers and the great spiritual Master. Christianity is so sublime and so beautiful because the whole work of God is unsurpassable and perfect. How could we not feel the desire to get to know it better and better? I'm worried about those believers who move from one church to another in order to always something "more traditional ", but do not have the desire to be led in doctrine and spirituality. Sooner or later they will adopt a secular mentality again, one perhaps sooner than the other. I've met some people who were arrested by the Old Rite, but in their judgments and their behaviors were liberal. However, the truth of the faith must be the measure of our judgment and our actions. In order to give other people from further afield the opportunity to participate in our ministry that takes place for us throughout the year, we launched the "Day of Tradition". It is a day that is dedicated to the Catholic doctrine, specifically a particular topic. It is also an opportunity to meet again, keep in touch, meet new people. 3) Does the life in the countryside as opposed to living in the city facilitate the understanding of the tradition? Don Alberto Secci: No, today the disaster is global. It is not the mountain or the land itself which will help us, but the way you view the world, that is, whether they are really considered to have Catholic views. If so, whether the mountain or plain, small village or metropolis is the same. On the contrary, if a priest should be really determined to give his life in the grace received from Him, then the city offers even more opportunities for his apostolate. Personally, I must confess that I have always loved the solitude of the mountain, which always holds the same beauty and pain in itself and I have learned more and love more. For me anyway, it is the place where I live as a priest, which obedience to God. First, the faithful are entrusted to me. I'm not picking any particular place, that I've never done. 4) Why precisely are those who want the Creed of the Holy Catholic Church and are really serious to live it, are the only ones excluded from the discussion and public debate or kept to religious themes, but but everything else is approved? Don Alberto Secci: In every dictatorship, the past must be censored. No one must know how it once was before the dictatorship, which always claims to give new life to the world. And the dictatorships of the "liberals" are the worst and have always been the worst. When the schema of a dictatorship enters the Church, the censorship of the past is almost a dogma: "Today the Church has a new consciousness, you can not go back to the things of the past, even if they were sacred, but today they are no longer there, because the Church's consciousness determines the truth in today." Something like that is thought by almost all today, and that is terrible. It is the fastest way to destroy the Church, as we see. The representatives of this thinking have access to almost all means of communication, because they are useful to "entertain" the people, they do not argue with the New Paganism, they do not startle, do not challenge them when they criticize, then only the Church, most of the time, but they just talk, they palaver and palaver and say this mostly nothing. But it is enough that a child says in his innocence, see, the king is naked, and already breaks the spell of censorship that the past is hidden, it falls into place in a single moment. That's why it will take more work from the traditional side and less "whining", to help build the kingdom of God, according to the responsibility that God has entrusted to each of us objectively. There is no time to lose: Do all that stands in your way, so that the Catholic Church and the world is Christian. 5) What today indicts the Church of being in crisis? Don Alberto Secci: The priesthood. In the "modernized" Christendom, the priesthood has no place, because it is without meaning in the new religion ultimately. That is the terrible consuming of Protestantism in our house, that is, in the Catholicity. 6) What can the tradition of the Church teach to our time? Don Alberto Secci: Quite simply, Christianity. You must do nothing else. Christianity is not reduced to a purely earthly matter, as does the prevailing flow, but Christianity as God's grace. Christianity, which is not ashamed of the cross and therefore builds upon and aims to grace. Christianity, which knows that grace is not a construct but is truly effective, and is capable of bringing about a civilization and high culture when man opens to her, as history has never seen. Tradition teaches the visible Church, that Christendom in order to save many souls brings forth Christianity, that is, a Christian society: therefore, if the Church of today wants the salvation of souls, then She should cease to be ashamed of Christianity . 7) What does tradition teach to the pathological modern world, which consists of many broken families, of sick political decisions of cultures and ideologies that are in open contradiction to the law of nature and no longer has clear goals and fixed points? Don Alberto Secci: Tradition reminds everyone that one can not pretend that there is no original sin, when talking about the people and society. Man can not save himself, so he can't build a just society on his own. He needs the grace of Christ and indeed absolutely, without exception. Without grace that comes from God, there is no healthy people. Tradition also points out that the Grace of God, the grace that Christ has given to us through the cross and conveyed to us through the Sacraments, can do all things. And if this is so, and that is so, then there is nothing that can prevent sanctity, if man does not reject it himself. Traditionalists are the kindest, friendliest people because, they are in the readiest place there is, because he lives on the primacy of the supernatural life. For where God lives, everything becomes new in true order. 8) Why should traditional people live better than a "modern" man? Don Alberto Secci: Because he does not support his life by himself, but depends on God. One must live so that he always looks for the grace of God and to do this with the joy of everything to His greater glory. The tradition is a way of simplicity, it does not look for luxury or false comfort: God is everything, and so I live for Him. It is a life, everyone in his state of life, as Saint Benedict says, because the monk is simply a Christian. In the Middle Ages it was quite normal that even princes and princesses went to the monastery when they came of age. This was not an early form of retirement home for rich and powerful who could afford it at that time. No, it was because of their salvation because they knew that this was the most appropriate way to do what they knew to do, namely, to seek the grace of God, having previously lived by their rank and position, performing with their responsibility in the world. 9) In view of the many people who groan under the daily loads that consume their days full of hustle and bustle and work for an ultimately pointless existence as it appears to them, have questions to which they can find no answer, how would you describe to them the beauty of life and also the beauty of death? Don Alberto Secci: Life and death becomes beautiful when one recognizes one's own place and also lives: you belong to God and the whole of life has its meaning, and the questions suddenly get a clear answer when we recognize this commitment. And in God, in our Lord Jesus Christ, man suddenly realizes with astonishment that all is altogether well. One discovers the profound unity of everything. Life is will be understood in an entirely new depth and simplicity, it is wisdom. But that you do not get that without the Church, which of course was specially instituted by Christ with a clear task for It. But the Church is not a social, societal and thus horizontal means such as many others are The Church is the communion with Christ, It is the tradition. It is the tradition, because this bond with the Lord through the Apostles represents an unbroken line willed by Christ and therefore, the certainty of salvation is mediated through the sacraments. Is there anything more shockingly beautiful than that? Everything in this bond of grace with Christ, a bond that is historically observable because it acts in history, finds its place. Nothing is free. If someone wants to live outside this order of God, which alone corresponds to the true nature of things and also of man, therefore following his true, unique development, he will eventually find only suffering and anguish, and finally death, with the real danger that this death is final, terrible and eternal. But God wants us in his own order, he wants to share with us the great beauty, the eternal life, in Him Himself.